GAINESVILLE, Fla. — Studies show that up to a quarter of all children entering prekindergarten classrooms today have behavior problems that can disrupt learning for them and their peers. What’s more, researchers say that many preschool teachers lack the necessary training to effectively quell this growing trend in behavior problems. “Many preschool teachers are ill-prepared to work with these children, often impacting the child-teacher relationship and the classroom learning environment. 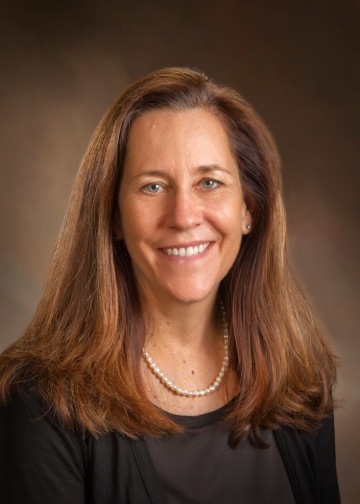 This can lead to problems with learning and result in too many children entering kindergarten unprepared to succeed,” said Maureen Conroy, professor of special education and early childhood studies at the University of Florida College of Education and co-director of UF’s Center for Excellence in Early Childhood Studies. Conroy is the principal investigator on a team of researchers from UF and Virginia Commonwealth University that is working to reverse this trend. In a study reported this month in the spring issue of the Journal of Positive Behavior Interventions, the researchers teamed up to evaluate the promise of a pilot program that they designed to train teachers how to work with preschoolers who display emerging behavior problems. The program is called BEST in CLASS, short for Behavioral, Emotional and Social Training: Competent Learners Achieving School Success. Conroy’s VCU co-authors on the report are Kevin Sutherland, Abigail Vo, Staci Carr and Paul Ogston. Their work was funded by a $1.5 million grant from the Institute of Education Sciences, part of the U.S. Department of Education. The published study involved 10 teachers and 19 high-risk children from state-funded prekindergarten classrooms and Head Start programs. The teachers attended an introductory group workshop on the BEST in CLASS intervention strategies, and then received 14 successive weeks of individually tailored coaching and feedback on implementing effective instructional strategies for strengthening children’s social, emotional and behavioral competence. Early-childhood specialists on the research team led the professional development activities and also developed coaching and teacher-training manuals for the participants. Conroy said their BEST in CLASS model emphasizes both individual and classwide interventions to improve interactions between the teacher and children and enhances the overall classroom atmosphere for learning. BEST in CLASS also has a home-school component where teachers send home a daily “behavior report card” to parents, stating in a positive manner the social, emotional and behavioral skills their child is learning that day and suggestions for parents to use at home. “As children learn early how to positively engage with adults in their environment, they become more prepared to succeed as they enter kindergarten,” Conroy said. The promise of their pilot study has led to a follow-up, large-scale investigation of the Best in Class intervention by the UF-VCU research team, supported by $4 million over four years from the Institute of Education Sciences. The follow-up project involves 120 prekindergarten teachers in both Florida and Virginia.